I swear, these falsies brought me back into the falsies legion!!! You see, as a teen, I was very interested in reading beauty blogs, and was interested in experimenting with a lot of makeup. Falsies would often be an integral part of my look as a teen, and believe it or not, I can say for sure that I was more patient with doing intricate makeup looks as a teen hahaha. But well, this is the Philippines, and people are so "natural" obsessed. I have encountered many instances of makeup shaming in my teens due to wearing false eyelashes. It's been many years and the makeup shaming from the people around me is only slowing starting to die down now. People are already aware that I am a beauty blogger and that I work with many brands. Now that the concept of work has been brought into the picture has it only become normal for me to experiment with makeup. 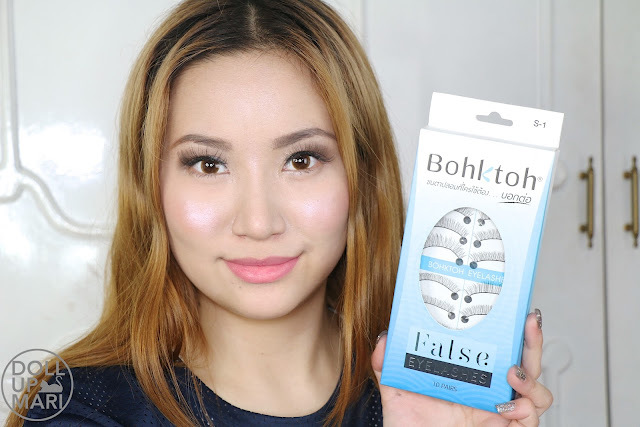 Well the weirdness of why working with beauty brands needs to be the gatepass for me to wear false eyelashes deserves its own article, but for now, I'll leave it here. My false lashes from waaay back have always been pretty. Even now, they're still relevant. But they have long, thick hair strands arranged in such a lush manner that putting them on is like putting on more eyeliner and eyeshadow. I think I was likened to Lady Gaga in a bad way at some point. I love Lady Gaga so much, but I know that the commenter came from a mindset of insult, so it wasn't good. So finally, I have the privilege of being able to talk to y'all about these! 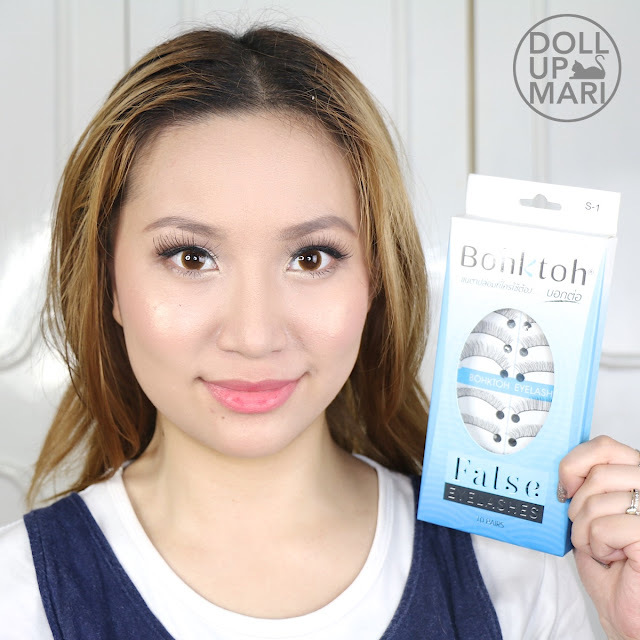 I'm not gonna go crazy in depth like in my usual reviews because I don't think there's a lot to say about falsies. They're more of a visual thing. So I'll just be pointing out the key benefits I feel that these lashes have. For one, they are silk stalk, which I think is great because this is the compromise. 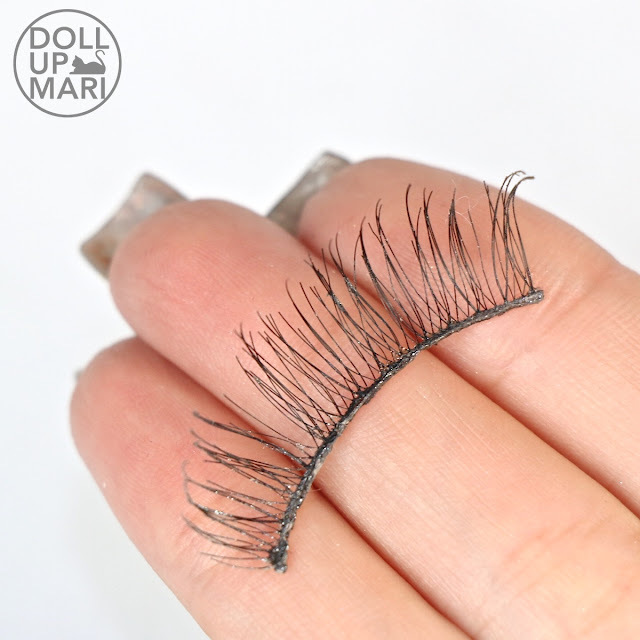 There are transparent bands for lashes, and the usual thick double core bands and stuff, The problem with the former is that the lashes tend to be made of nylon thread, which is tough and has the tendency to come off the corners of the eyes in general. The perceived problem with the latter is that they tend to act as one more heap of eyeliner, which may be too much for some. 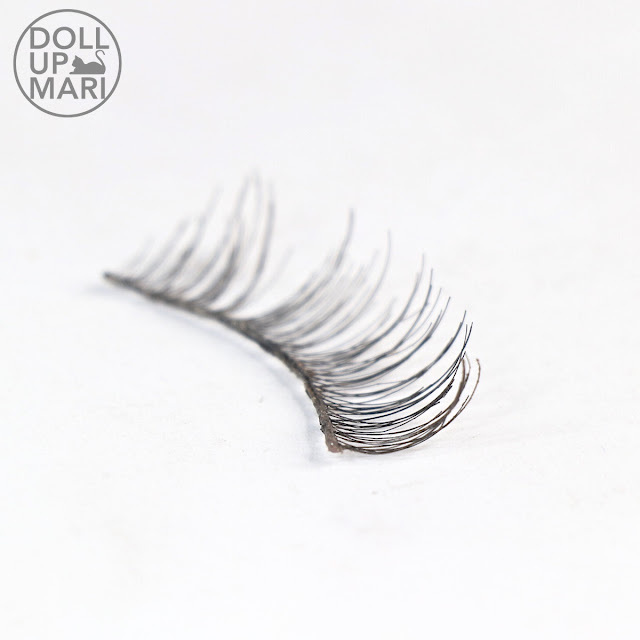 The silk stalk bands mean that these are wispy enough so as to not alter one's look, but are also soft and flexible enough so as not to come off prematurely off the corners of the eyes. 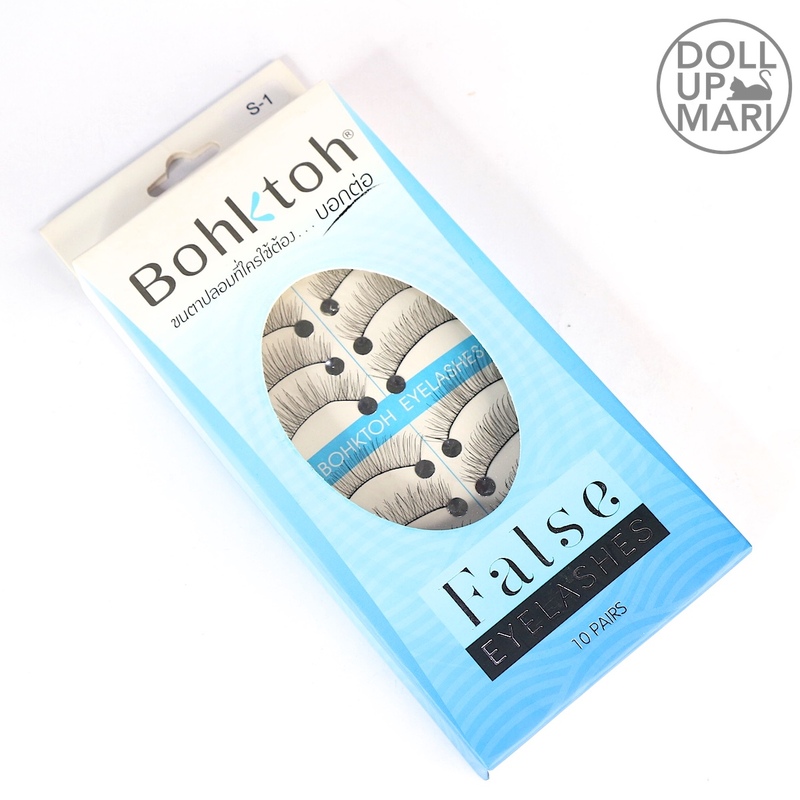 The key thing with Bohktoh lashes in general is that the hairs are super fine, like perhaps 3/4 the thickness of other brands. And then they are arranged very intricately in a sparse manner. But the key difference is that these lashes are longer than the usual brand lashes. 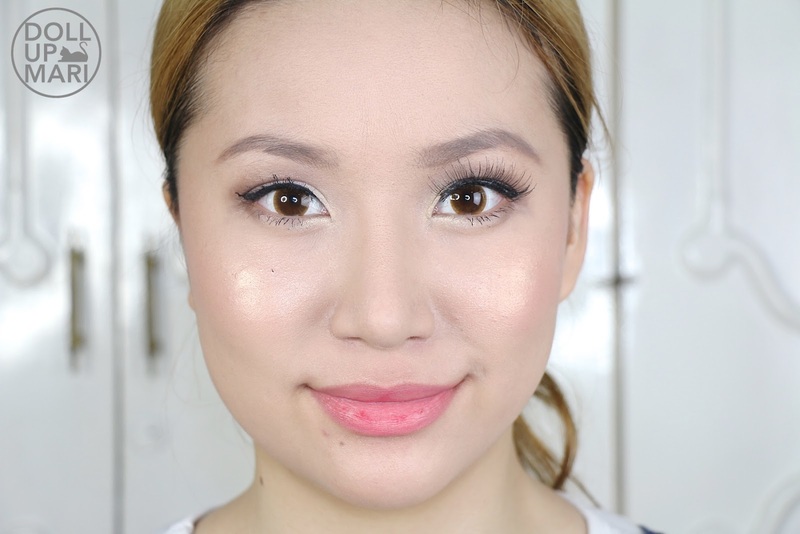 The overall effect is that the lashes look soft and feminine. The overall look of the wearer is enhanced, without adding unnecessary drama or taking away attention from the beauty of the wearer. 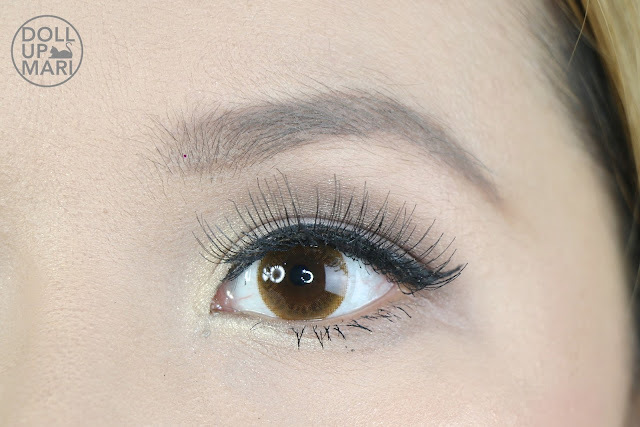 The issue people had with my former lashes (yeah it's them because I loved my falsies haha) is that the lash hairs are thick individually, and piled on too thickly on the band, so it's like piling on so much more eyeliner. 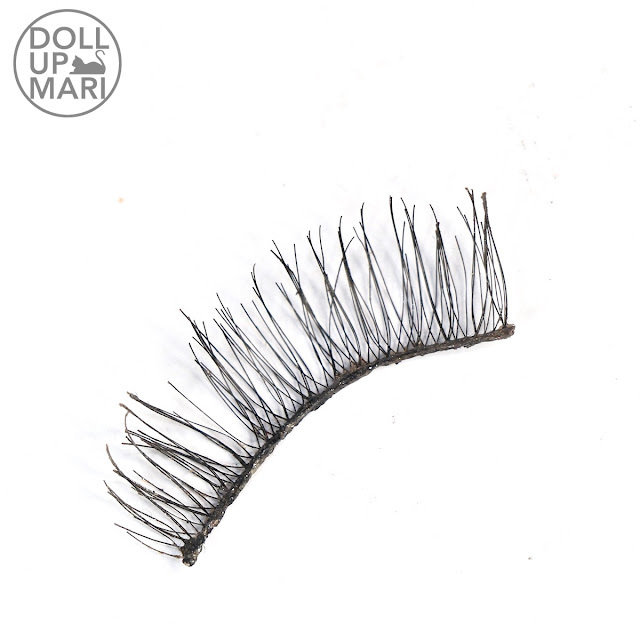 These lashes are very lightweight and I feel that this is good for a lot of eyelash beginners because there's not much of a break in or adjustment period. The best part is that these lashes are so long that they really give the wearer a Pia Wurtzbach effect. I always get sooo much compliments whenever I wear these lashes in particular. 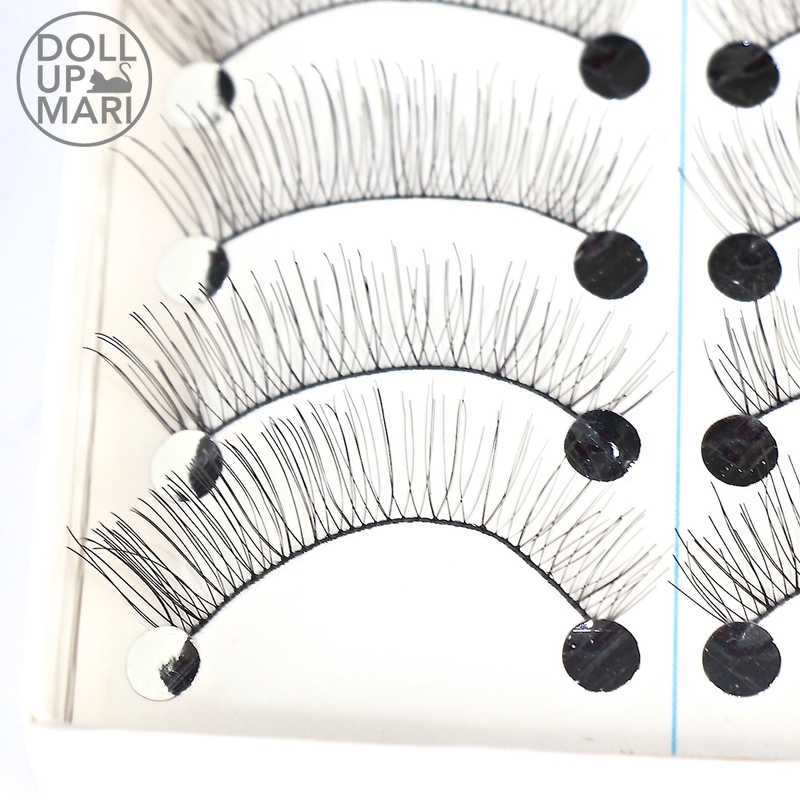 There is reaaaally just something so glamorous about these lashes. This is a photo of me wearing these lashes. I loooove how long they are! They make you look as if you have eyelash extensions. Since these eyelashes reach the eyebrow, you can also make your eyeshadow a bit higher and it wouldn't feel weird. I sometimes like to pile on more eyeshadow to make the eyeshadow look nicer when my eyes are closed, but I obviously can't really do that when my false lashes are shorter. Just to give a comparison, this is how wonderful this product is! With the lashes on, it's suddenly so much more glamorous and feminine, but it's not awkwardly conspicuous when it's there. It doesn't feel like falsies, it feels like eyelash extensions. The look is so dramatically changed with the lashes on, but looking at just the eye with the lashes on, it doesn't feel like it's obviously there. This is me sporting these lashes. I like how I can go easy on everything else with these lashes around. I also can not do a dark under eye because these lashes look natural. This is me wearing these lashes for my grad pic shoot. I loveeee these lashes because they were visible in the final photos! 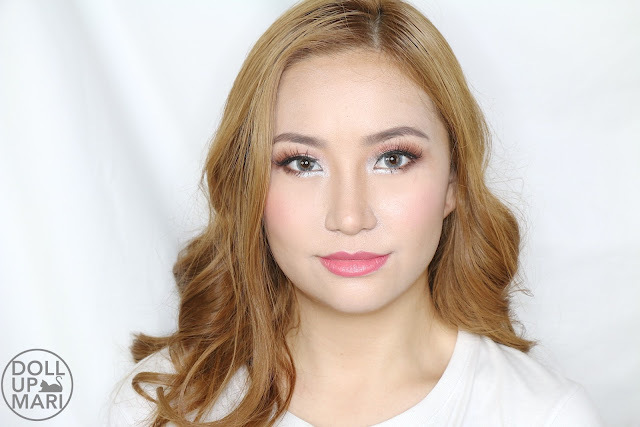 I wanted lashes that were long and visible for my grad look, but something still generally decent for a grad shoot. I like how they just blended in and didn't look crazy. This is one of the photos I took at home after the shoot. I am still too shy to upload my actual grad pics hehe. These lashes go so well with my Secriss Coral Grey lenses. And just to show a realistic update, this is how the lashes look now after like 10 uses or so. I know they look so much more battered now than in the other photos, but I'm glad to say that I really was able to use 1 pair to the fullest!